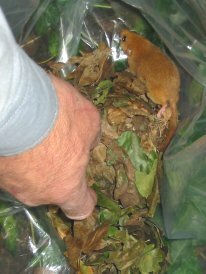 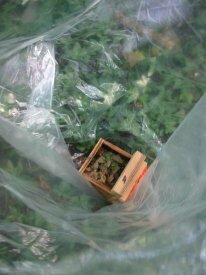 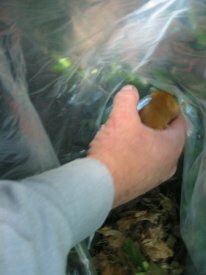 placed in a large clear bag to find out if a Dormouse is in residence. 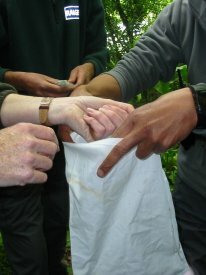 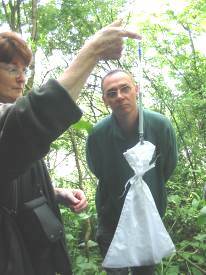 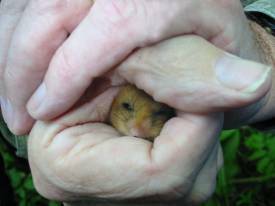 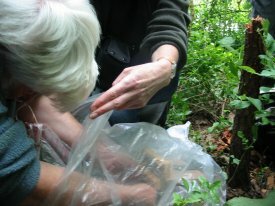 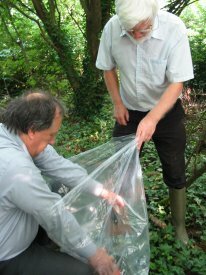 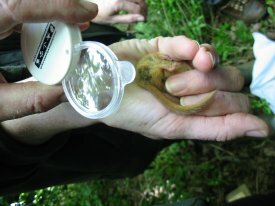 The lid is taken of the box so the nest can be explored, a Dormouse is found and caught. 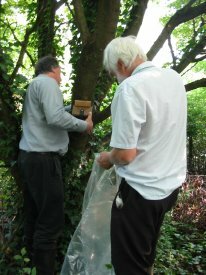 before being returned to it's original position on the tree.